I haven't played my violin in a long long time and I feel really very guilty. After learning it for so many years, I shouldn't just stop playing it. I wish to resume the violin classes but my college is going to get more hectic now. :( Gah, it makes me feel sad. "Life is like playing the violin in public and learning the instrument as one goes on." 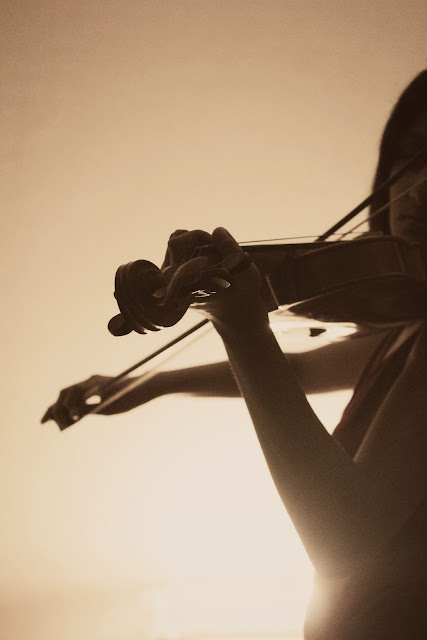 I love the sound of the violin. You can almost hear it in the photo. The light coming from behind makes it magic.